In the last edition of this publication we noted that there had been some significant movement in Manx insolvency law especially in the area of the mechanisms available for challenging a sealed winding-up order.2 At that time we noted that there was an increase in judicial criticism of the Isle of Man's legislation and rules in respect of winding up. As such reforms do not appear to be high on the legislative agenda there has not been any change to either the legislative framework or the winding-up rules. The Isle of Man courts continue, however, to do an admirable job of ensuring that aging rules continue to function in the modern world. Accordingly, the statutory framework and substantive law remains the same in this edition as in the previous. The primary legislation governing insolvent companies can be found in Sections 155–276 of the Companies Act 1931. This is supported by the Companies (Winding-up) Rules 1934. The regime in the Isle of Man, perhaps unsurprisingly given its proximity, shares many similarities with the regime in England and Wales and, indeed, with many common law jurisdictions. This is owing in part to the fact that the Isle of Man Companies Act 1931 was based on the Companies Act 1929 (an Act of Parliament). 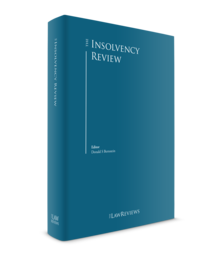 Nevertheless, there are certain idiosyncrasies and features unique to Isle of Man insolvency law and procedure that have developed over time. Added to the divergence in Manx and English and Welsh insolvency law and procedure as a result of the passage of time and interpretation is that the English and Welsh legislation of has been subject to amendment that the Manx legislation has not. The Fraudulent Assignments Act 1736 states that 'all fraudulent Assignments of Transffers of the Debtor's Goods or Effects shall be void and of no Effect against his just Creditors, any Custome or Practice to the contrary notwithstanding'. To present a petition to wind up a company is therefore considered to be a serious step and not to be done lightly. It might therefore be argued that there should be some reluctance for the Isle of Man courts to take the step to wind up a company. It is, however, the case that courts are routinely required to make serious decisions on a variety of important issues and the fact that presentation of a winding-up petition might be considered a last resort will not prevent the court from winding up a company where there are good grounds for doing so. It is well-settled law that if a creditor with standing makes application to have a company wound up, and if the court is satisfied that such company is unable to pay its debts, a winding-up order will follow unless there is some special reason to the contrary. Further, in such circumstances and being so satisfied, the court would assume that a winding-up order should be made. The burden rests with any objector to show special reasons why such an order should not be made. It follows that if a company is considered to be unable to pay its debts the Isle of Man courts will not hesitate to wind it up unless that company or other objectors can show special reasons not to, and the burden is on them to do so. The practicality is that if a winding-up petition is presented and a company is deemed unable to pay its debts the chances of its survival are minimal. There are certain mechanisms that allow schemes of arrangement or receivership, but if a company is in financial difficulty and finds itself unable to pay its debts as they fall due, and a creditor in receipt of an undisputed debt wishes to wind up the company, there is a very good chance that the creditor will succeed. Winding-up proceedings by the court are discussed in Section I.iv. There is no provision for the appointment of an administrator in the Isle of Man, nor is there a position of administrative receiver under Isle of Man law. However, foreign administrators are recognised and are likely to be assisted by the Isle of Man courts if such a request is made. The court has12 sought the assistance of the English High Court under Section 426 of the Insolvency Act 1986 to place an Isle of Man company into administration under the laws of England and Wales. The Manx legal position on the appointment of receivers is by and large the same as the pre-1986 position in England and Wales. There is no requirement that a receiver should have any qualification as long as he or she has reached full age, although practically it would be difficult to envisage a situation where a receiver would not be an experienced or appropriately qualified insolvency practitioner. Unless the power to appoint a receiver has been granted by way of debenture or other appropriate agreement, it will be necessary to apply to the court for a receiver to be appointed. The court's jurisdiction to appoint a receiver in the Isle of Man follows the common law position and will only be exercised to aid some legal or equitable right.13 The appointment must of course be of some advantage to the applicant and the property in question must have some value. Appointment of a receiver by debenture or under a charge will be in accordance with the terms of the security document. Subject to any terms to the contract, the appointor may remove or replace the receiver at any point he or she chooses. The jurisdiction of the Manx court to affect schemes of arrangement has been described as being 'extremely wide'.14 A liquidator has power15 to apply to the court for the summoning of a meeting of the creditors and contributories for a vote to be held upon the scheme. If three-quarters in value of the creditors or members present and voting agree to the scheme of arrangement or compromise then, if this is sanctioned by the court, it is binding on the creditors, members and the liquidator. The Manx courts have a history of proactively assisting overseas courts in respect of insolvency matters. The First Deemster (High Court judge) recently stated16 in a case involving US Chapter 11 proceedings of an Isle of Man company that '[t]he substantive insolvency proceedings should be confined to one jurisdiction with other courts worldwide, where necessary, acting in an ancillary capacity and recognising and assisting the jurisdiction of the primary court'. In this case the Manx court was content for the US court to be the primary court. The island's court system is modern and efficient and ancillary insolvency proceedings can be dealt with in a timely manner. Notwithstanding the foregoing, there are further limitations on when a contributory or a contingent or prospective creditor may bring a winding-up petition. In respect of contributories they are only entitled to present a winding-up petition if their shares were allotted at least six months before the commencement of the winding-up petition (or they have devolved to the contributory through the death of the original holder).19 Contributories may present a petition if the members of the company have been reduced below two. The Isle of Man courts have discretion on hearing a winding-up petition to make such orders that they see fit and may dismiss, adjourn, make any interim order or any other order that they deem appropriate in the circumstances.22 The only limitation on the court's discretion is that it may not refuse to make a winding-up order on the grounds that the only assets of the company have been mortgaged to or beyond their value or that the company has no assets. Indeed, those will ordinarily be reasons to wind up a company. While the island's insolvency legislation does not presently grant the court jurisdiction to review, rescind or vary a winding-up order,25 the Staff of Government Division has recently26 confirmed that the Manx courts have an inherent jurisdiction at common law to review, rescind or vary a winding-up order where such an order is necessary in the interests of justice. The manner in which the court will review a winding-up order, the area covered by the courts and how they will exercise their powers are presently uncertain. Presumably, such a review will be on a similar basis to the powers granted under Rule 7.47 of the Insolvency Rules 1986 (an Act of Parliament), although it is not certain at this stage. Once the court has appointed a liquidator it is, for all intents and purposes, the liquidator that controls the insolvency proceedings subject to his or her compliance with statute and the Companies (Winding-Up Rules) 1934. The court is required to 'take cognisance'27 of the liquidator's conduct, and must enquire into any failings by the liquidator and take such action as it may think expedient. The court has power to require a liquidator to attend before it and be examined on oath in respect of the winding up. The directors of the company must provide the liquidator with a statement of the company's affairs within 14 days of the winding-up order or the appointment of a provisional liquidator. As soon as is practicable after receipt of the statement of affairs, the liquidator must submit a preliminary report to the court giving, inter alia, the reasons for the failure of the company and whether, in his or her opinion, further enquiry is desirable into the promotion, formation or failure of the company or the conduct of its business. There are no special insolvency rules. Because of the size of the Isle of Man, its location and its role as an international business centre, many Isle of Man company liquidations involve cross-border issues. As the island's insolvency case law develops there is a clear trend towards assisting overseas courts and claimants rather than putting hurdles in their way. The Manx court of appeal, known as the Staff of Government Division, in the case of Obertor v. Gaetano,31 interpreted the Judgments (Reciprocal Enforcement)(Isle of Man) Act 1968 (the 1968 Act) in a purposeful way so as to not require an English judgment creditor to have to register that judgment under the 1968 Act before being able to serve a statutory demand on the judgment. In Interdevelco v. Waste2energy Group,32 the Manx court refused the application of a creditor to wind up an Isle of Man company as the company was already in Chapter 11 proceedings before the United States Bankruptcy Court for the District of Delaware. The court stated that in the circumstances there was no need for 'additional substantive winding-up proceedings to take place in the Isle of Man'. As Isle of Man companies are predominantly used for international trade or asset holding, it is the state of the global economy rather than the local economy that determines the number of insolvencies. As a Crown Dependency, the political situation in the UK can also have an effect on the Isle of Man. It is unknown what, if any, effect the recent referendum on the UK's membership of the European Union will have will have on the Manx or indeed the UK economy in the short, medium or long term and what, if any, effect it may have in respect of insolvencies. There have been two applications before the Manx courts for the appointment of provisional liquidators before the hearing of the winding-up claim that have been brought without notice. These applications have been made by the Isle of Man Financial Services Authority (FSA) (formerly the Financial Supervision Commission (FSC)). In Financial Supervision Commission v. UK Secured Finance Fund PLC (10 June 2015) the FSC sought an urgent without notice application pursuant to Section 178 of the Companies Act 1931 for the appointment of joint liquidators provisionally in respect of UK Secured Finance Fund Plc. The court heard that the company in question did not have a registered agent, in breach of Section 74(1) of the Companies Act 2006, and no longer had a manager. As a result of the company having no registered agent the Registrar of Companies had issued notice under Section 183 of the Companies Act 2006 indicating that unless cause is shown to the contrary, the company would be struck off the register. Further, joint controllers had been appointed to the company by the FSC who had reported that the company was cash-flow insolvent and had recommended to the FSC that the company be placed into liquidation as soon as possible. The FSC noted their belief that it was expedient in the public interest that the company was wound up. In Isle of Man Financial Services Authority v. New Earth Recycling and Renewables (Infrastructure) PLC and others (9 June 2016), the FSA again sought appointment of joint liquidators provisionally on a without notice basis. In that case, the FSA sought appointment of provisional liquidators on the following basis: the companies in question had limited, if any, cash holdings and the directors had indicated that there were insufficient funds to operate on a daily basis or liquidate in an orderly manner; all payments had been frozen; it was not appropriate to allow the companies to continue trading without sufficient liquidity to operate on a daily basis; and the directors had consented to the applications being made and to the provisional appointments. The FSA also believed that the liquidators could preserve any assets that might still be capable of preservation and make necessary enquiries to obtain information on the affairs of the companies. In both cases the application was granted, despite it being an exceptional step to take. Reference was also made in both cases to the decision of the court in Unicorn Worldwide Holdings Ltd and others v. P Court Ltd and others,33 which sets out the tests to be applied in the appointment of provisional liquidators without notice. The Unicorn Worldwide Holdings case, following a number of English and Welsh authorities,34 states that there is a two-stage test that must be satisfied before such an appointment can be made. Factors that the court should consider include whether there are real questions as to the integrity of the Company's management and/or as to the quality of the Company's accounting and record keeping function, whether there is any real risk of dissipation of the Company's assets and/or any real need to take steps to preserve the same, whether there is any real risk that the company's books and records will be destroyed and/or any real need for steps to be taken to ensure that they are properly preserved and maintained (which may be so where, for example, there is clear evidence of fraud or almost irrefutable evidence of chaos), whether there is any real need for steps to be taken to facilitate immediate inquiries into the conduct of the Company's management and affairs and/or to investigate and consider possible claims against directors (e.g. for fraudulent or wrongful trading), whether or not the Company has a realistic prospect of obtaining a validation order under s.127 of the Act (because if it has no such prospect, it may well not be realistically able to trade in any event), and generally which course 'seems likely to cause the least irremediable prejudice to one party or the other'. Interestingly, while in both FSC v. UK Secured Finance Fund Plc and FSA v. New Earth Recycling and Renewables (Infrastructure) Plc a provisional liquidator was appointed, the court noted in the latter case that it granted the application with some degree of reluctance as it felt that the risk of dissipation of assets simply wasn't there. However, the directors of the companies involved had essentially agreed to the FSA's applications and as such the court was satisfied that the grounds were made out. Had the companies' directors not been agreeable to the applications then it may well have been that the without notice application would not have been granted. Requiring disclosure or making an order for specific disclosure in a winding-up claim has been noted as a highly unusual step to take; however, there have been a couple of cases in the period since the last edition of this work in which such orders have been sought. Those applications have not been successful, but the judgments make clear that the court does have the power to order such disclosure in a winding-up claim and while it might be unusual it will be prepared to make an order if there are good grounds for doing so. Even when those prerequisites for the jurisdiction exist the court still has discretion as to whether to order discovery. Again, the ordinary rules regarding the making of an order for specific disclosure apply. Documents and classes of documents must be defined precisely; discovery must be necessary to fairly dispose of the matter; and necessity, fairness and proportionality must be considered. The court will also not countenance 'fishing expeditions'. In most winding-up claims disclosure is likely to be unnecessary and will not be ordered on the grounds that it is not required to fairly dispose of the matter. Where winding up is sought on the grounds of inability to pay a debt, there will ordinarily be evidence of such insolvency or inability to pay the debt such that disclosure is not needed or if there is a genuine dispute over the alleged debt then in the ordinary course the winding-up claim would be dismissed. Where a court is being asked to wind up on the just and equitable ground then, again, in most cases the evidence will be clear on the face of it. If, for example, the claim is brought because of deadlock in the management of the company, such deadlock either exists or doesn't and disclosure would not be required. There may, however, be circumstances outside of the normal course in which disclosure is necessary. In Secure Nominees Limited v. Origo Partners and others,38 Deemster Doyle did not find helpful arguments put forward that because disclosure in winding-up matters were rare and exceptional that an order should not be made. While the learned Deemster did not make an order for disclosure in that case, he made clear that the fact that such orders are rare and exceptional is simply a statement of fact and does not form part of the test for determining whether disclosure order should be made. The dispute must always be whether there is jurisdiction to make an order and if so whether the court should exercise its discretion to make one. It follows that if there are good grounds and reasons for making a disclosure order in the specific circumstances of a winding-up claim, highly unusual though that might be, then a disclosure order should be made. This case provides useful guidance as to the factors the court will take into account when determining who should act as liquidator in a public interest winding up where there are competing proposals for liquidator. The court had ordered that Eco Resources Fund PCC Plc (Eco) be wound up and that Gordon Wilson be appointed provisional liquidator and deemed official receiver. Prior to his appointment as provisional liquidator, Mr Wilson had been appointed by the FSA as adviser and controller to Eco. As adviser and controller, Mr Wilson had all the powers to advise or to operate, manage and administer the affairs of Eco. At the first meeting of the creditors and contributories, Mr Wilson (as provisional liquidator) sought resolutions for his appointment as liquidator with no committee of inspection. The creditors and contributories voted against the resolutions, and one creditor subsequently sought the appointment of Mr Simpson as liquidator. Both Mr Wilson and Mr Simpson are highly experienced and respected liquidators, and the question of who should be appointed liquidator of Eco was brought before the court for determination. After considering the facts, which included that fact that Mr Wilson had been very active in his roles as adviser to and controller of Eco, the court decided that Mr Simpson should act as liquidator. In considering whom to appoint as liquidator when there are competing nominations, the court advised that it should consider the context within which the competing proposals arise. His Honour the Deemster Doyle advised when considering competing contenders for the appointment as a liquidator in a public interest winding up, the court should consider all the circumstances of the case including the views of the FSA and the views of contributories and creditors. In a public interest winding up the court will, no doubt, place significant weight on the views of the FSA but those views are not determinative as to who should be appointed liquidator. The court should consider the interests of those who support and oppose the appointment of the specified individual as liquidator. The court should also consider what is in the best interests of the company and its investors and the reputation of the Island. The court must consider the independence and impartiality of the proposed candidate. A liquidator, as an officer of the court, should be independent and above suspicion. There must not be any bias, nor any appearance of bias. Where there are circumstances that might predispose a person to favour particular interests, those circumstances must be taken into account and the possibility of unconscious partiality should not be overlooked. The proposed candidate must be independent of interested parties, including the FSA. The court must carefully consider whether the proposed liquidator is independent and impartial and is untainted by any inappropriate 'baggage', for example previous dealings with the company or those connected with the company or the FSA in respect of the company which make it difficult for such individual to be appointed liquidator over and above a more appropriate candidate. I accept that on occasions an individual's previous dealings with, or experience of, the company prior to it going into liquidation may be appropriate 'baggage' and may in some cases be regarded as a positive factor in favour of appointing that person as liquidator. In other cases such previous dealings and experience with the company and the FSA may be inappropriate 'baggage' and would be regarded as a negative factor militating against that person being appointed as liquidator, in particular where there is a more suitable candidate who does not have the disadvantage of such inappropriate 'baggage'. The liquidator sought the assistance of the court as to whether the provisions of Section 248 of the Companies Act 1931 applied to the liquidation even after the creditors had been paid the whole of their proved debts for the period up to the commencement of the liquidation. The liquidator was unclear as to whether Section 248 continued to apply if the company was no longer 'an insolvent company'. Section 248 of the Companies Act 1931 provides that in the winding up of an insolvent company the rules of bankruptcy are to be applied with regard to the rights of secured and unsecured creditors and debts provable. The rules of bankruptcy are contained in the Bankruptcy Code 1892 and provide that '[i]f there is any surplus after payments of the debts it shall be applied in payment of interest from the date of the receiving order'. If Section 248 continued to apply then unsecured creditors would receive interest at 4 per cent per annum on the amount of their proved debts from the commencement of the liquidation. A review of the English case law indicated that in England the courts had interpreted Section 248 in a manner that resulted in the Section having no application once the liquidation threw up a surplus, even though the company may have been insolvent at the commencement of the winding up. The court advised that while Section 248 of the Companies Act 1931 is in the same terms as the English Section 317 of the Companies Act 1948 of Parliament, as the 1931 Act was not consolidating legislation the Section did not need to be interpreted in the same restrictive manner as adopted in England and Wales and could be given its natural meaning. His Honour Deemster Corlett held that it was inappropriate to follow the English line of authority and that it would be 'illogical and unfair for the Isle of Man to have an insolvency regime in which different provisions apply in relation to the payment of statutory interest as between a creditor in a bankruptcy and a creditor in a winding up, in cases where there is a surplus'. His Honour advised that 'the imposition of statutory interest is the fairest manner of adjusting the rights of creditors'. This case concerned an application by the joint liquidators of the Banners Broker International Limited (In Liquidation) (the Company) for the liquidation in the Isle of Man to be stayed until further order and the Isle of Man joint liquidators to be released as the centre of main interest of the liquidation was more closely associated with Canada than the Isle of Man. In addition the joint liquidators sought the sanction of the court to enter into the transition service and assignment agreement (the Assignment Agreement) that assigns, transfers and conveys to a Canadian receiver, on an 'as is where is' basis all of the joint liquidators' rights, titles and interests in and to the company estate and the joint liquidators should sign the Assignment Agreement forthwith. The joint liquidators had been installed following the granting of a Manx court order in respect of an Isle of Man-based company. As the matter unfolded a receiver was appointed in Canada and they in turn discovered that in fact the centre of main interest of the Company was not the Isle of Man but Canada. '. . . either altogether or for a limited time, on such terms and conditions as the court thinks fit'. 5. Deemster Kerruish in Navigator Gas Transport plc (judgment 4 July 2006) did not consider that the permanent stays sought by the Committee of Inspection in that case were detrimental to any creditor. The learned Deemster noted that the continuation of the liquidations would be against the wishes of the secured creditors. The learned Deemster saw no prejudice to anyone in granting permanent stays. The learned Deemster also considered the 'commercial morality and the interests of the public at large'. The court, having analysed its jurisdiction under the Companies Act 1931 and case law and having taken consideration of the circumstances of the specific case, ordered that, the liquidation of the Company in the Isle of Man be stayed in favour of the continuation of the receivership in Canada, that the joint liquidators be released, subject to compliance with the various other orders made by the court, sanctioned to entry into of the assignment agreement and required the joint liquidators to enter into the assignment agreement forthwith. This was the first reported case in the Isle of Man of the transfer of the centre of main interest from the Isle of Man to another competent jurisdiction. This case related to an application surrounding a legal argument focusing on whether an application by the FSA for disqualification orders against two parties under the Company Officers (Disqualification) Act 2009 (the 2009 Act) was within time, and if it was not whether this court should grant leave for the application to proceed. One point that fell to consideration by the court was in relation to the interpretation which should be given to the wording 'wound up' within Section 5(3) of the 2009 Act and hence the time period within which a claim should be brought under that Section. may only be made before the end of the period of 2 years beginning with the day on which the company is wound up or dissolved, unless the High Court grants leave for an application to be made later. Drawing support from the Appeal Division's helpful judgment in Taylor and another v. AG 2012 MLR 199, the court considered that in construing the words in Section 5(3) of 2009 Act regard such be had to the language of the section, its purpose and its context. 1 Miles Benham and Carly Stratton are directors of MannBenham Advocates Limited. 2 The Spirit of Montpelier Limited (In Liquidation) and others v. Lombard Manx Limited (18 June 2015). 3 In Re Heginbotham 1999-01 MLR 53. 4 Jefferies v. Henderson Walker 1522-1920 MLR 296. The case itself relates to an individual who was adjudged bankrupt, but the principle is equally applicable to companies. 5 10 December 2008, Chancery Division. 6 31 May 2005, Chancery Division. 7 Section 214 of the Companies Act 1931. 10 Section 42 of the High Court Act 1991. 11 Sections 152 and 184(1)(e) of the Companies Act 1931. 12 See Capita Asset Services (London) Limited v. Gulldale Limited below. 13 See Siskina v. Distos Compania  AC 210. For the case law on the persuasive nature of certain English or other foreign judgments in the Isle of Man, see Frankland v. R (PC) 1987–89 MLR 65. 14 Per Lord Hoffmann in Cambridge Gas Transport Corporation v. Official Committee of Unsecured Creditors (of Navigator Holdings PLC and others)  UKPC 26. 15 Sections 152 and 184(1)(e) of the Companies Act 1931. 16 Deemster Doyle in Interdevelco Limited v. Waste2energy Group Holdings plc; 10 October 2012. 17 The new court rules brought in by the Isle of Man Courts of Justice in 2009 now refer to 'claims' rather than 'petitions', so – more accurately – a winding-up petition should now be a winding-up claim, but for ease of reference and consistency this chapter will make reference to winding-up petitions. 18 Section 164(1) of the Companies Act 1931. 19 ibid at Section 164(1)(a)(i) and (ii). 20 ibid at Section 164(1)(c). 22 ibid at Section 165(1). 23 Section 166 of the Companies Act 1931. 24 Petition of Colombo Investments & Others, 21 June 2005, Staff of Government (Appeal court). 25 Unlike in England, where Rule 7.47(1) of the Insolvency Rules 1986 provides that the court should have jurisdiction to review, rescind or vary a winding-up order. 26 The Spirit of Montpelier Limited (In Liquidation) and others v. Lombard Manx Limited, 18 June 2015, Staff of Government Division (Appeal Court). In this case the author Miles Benham appeared for the appellant and persuaded the court that there was a common law power for the lower court to review a winding-up order. 27 Section 189 of the Companies Act 1931. 28 In re Impex Services Worldwide Ltd 2003-05 MLR 115. 29 Interdevelco Limited v. Waste2energy Group Holdings plc, 10 October 2012, Deemster Doyle. 30 Cambridge Gas Transport Corporation v. Official Committee of Unsecured Creditors (of Navigator Holdings PLC and others)  UKPC 26. 31 Obertor Limited v. Gaetano Limited, 17 November 2010, Deemster Doyle. 34 Revenue and Customs Comrs v. Rochdale Drinks Distributors Ltd  1 BCLC 748, Re SED Essex Ltd  EWHC 1583 (Ch). 37 Gittins v. Simpson, paragraphs 11–14. 39 See paragraph 5 – 7 CHP/2014/24. 40 See paragraph 9 CHP/2014/24. 41 See Paragraph 79 CHP 2016/73. 42 See Paragraph 79 CHP 2016/73. 43 See Paragraph 80 79 CHP 2016/73. 44 See Paragraph 82 79 CHP 2016/73. 45 See Paragraph 104 79 CHP 2016/73.